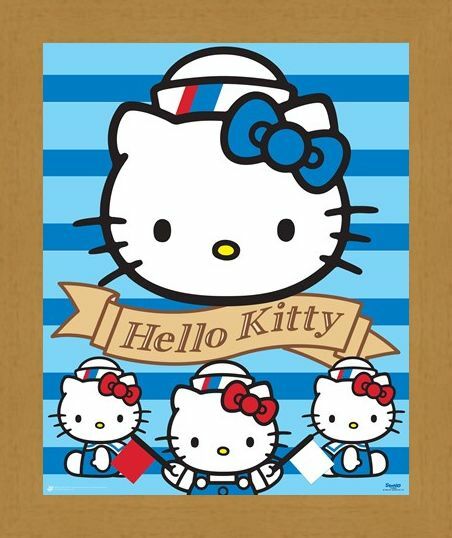 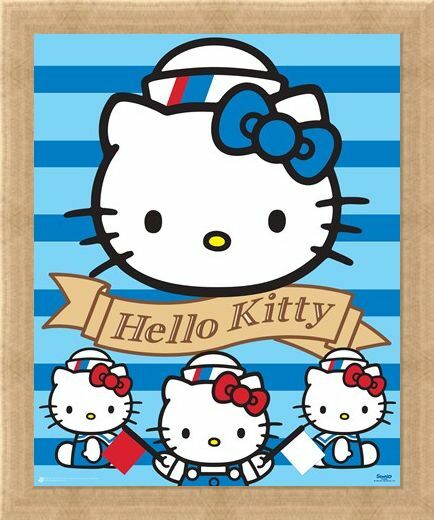 Children's Mini Poster: Join the adorable Hello Kitty on another fun filled adventure with this lovely nautical mini poster. 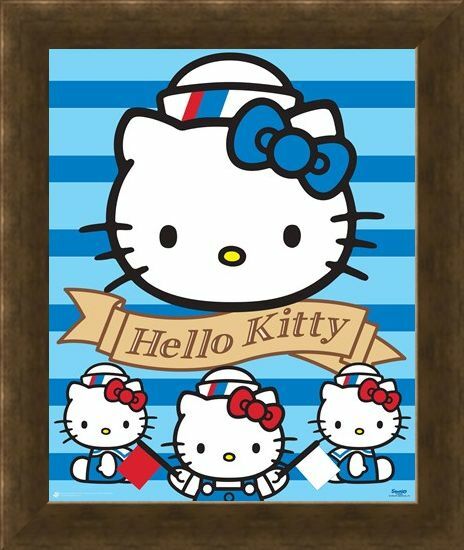 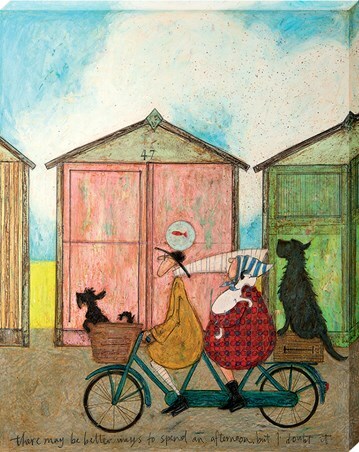 As you set sail on the big blue ocean, put on your sailor hat and take to the helm as you travel to an exciting new land. 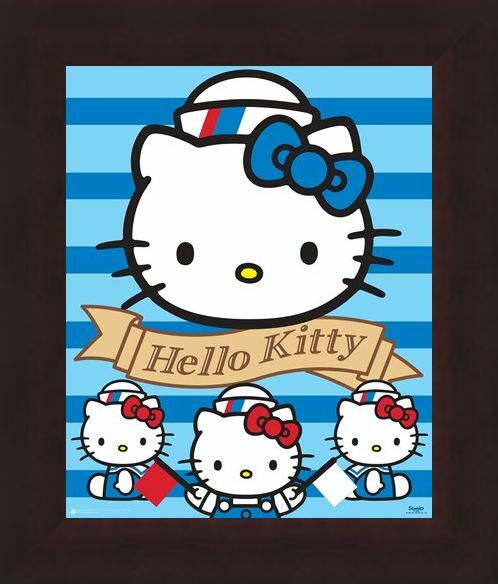 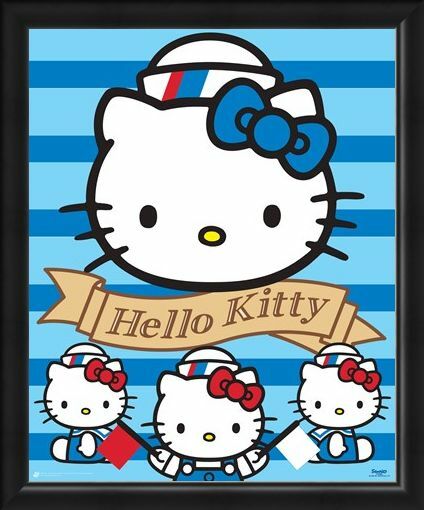 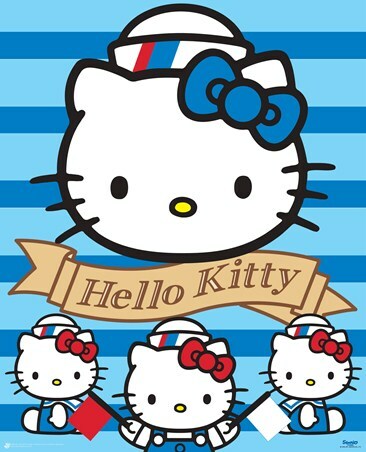 This colourful blue and white mini poster features not one but four adorable Hello Kitty's waving nautical flags and setting sail on the Sanrio ship. 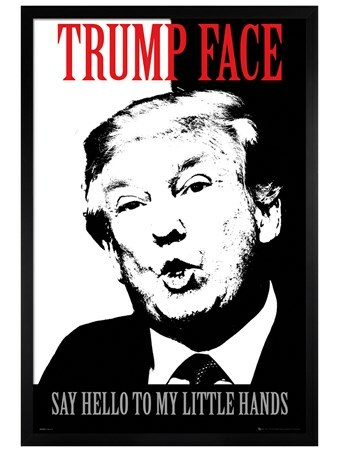 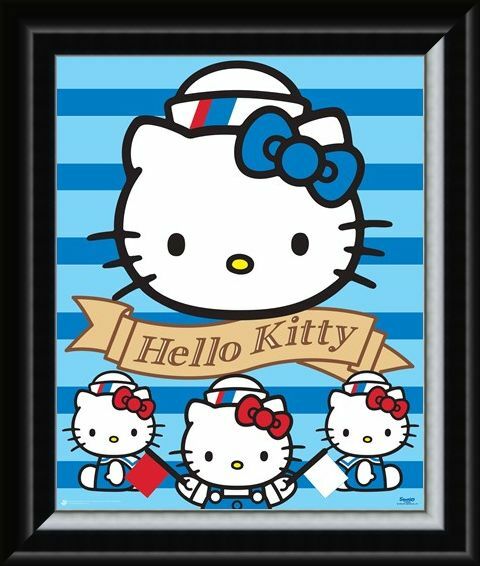 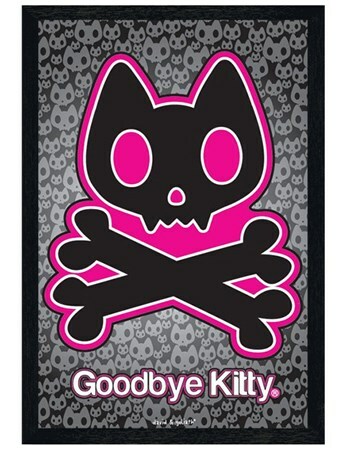 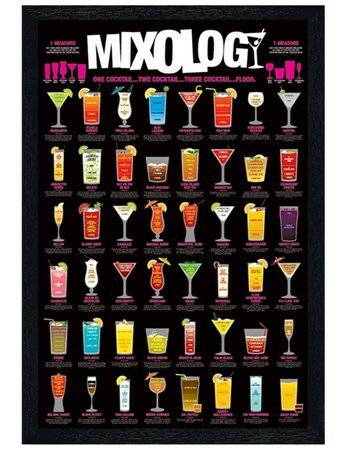 If you love Hello kitty then why not brighten up your bedroom with this excellent mini poster and make sure that you're always ready to climb aboard with Hello Kitty and her friends. High quality, framed Ahoy There!, Hello Kitty mini poster with a bespoke frame by our custom framing service.